Automotive electrical systems taxed by technologies for meeting tightening global fuel-economy and carbon-dioxide emissions regulations soon will be clamoring for more power, and the answer appears to be shifting from traditional 12V technology to 48V systems capable of handling the higher loads. See a sample of the report now! 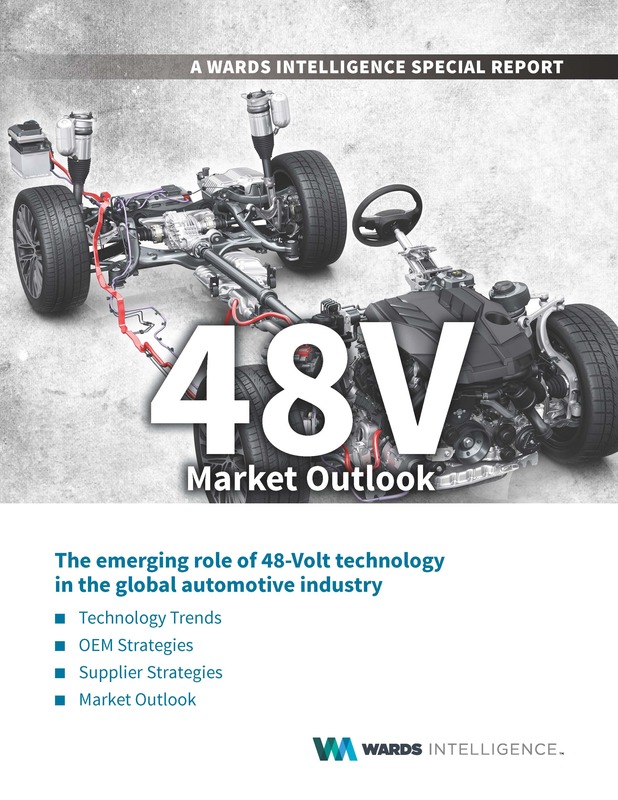 Wards Intelligence explores the implications of a shift to 48V in a special report written for automakers and suppliers to be affected by the changeover. Why 48V? And Why Now? Simply click to order the WardAuto 48V Special Report now. You may download it immediately upon payment. 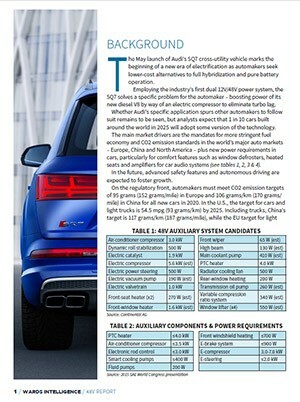 The 48 Volt report is only one of the many areas of insight and intelligence offered by WardsAuto on the coming changes. We also offer forecasts of vehicle and powertrain production, competitive green powertrain strategy analysis, fuel economy indexes and much more. For more information on these opportunities and package options, please contact wardsintelligence@informa.com or CLICK HERE to tell us about your unique information needs. Download the report introduction now.